From the construction of the Pyramids in Egypt to the roads and aqueducts of Rome, Designers have been planning, modeling and supervising the construction of projects since the earliest days of civilization. In the late 19th century, orthographic drawings started to replace the more artistic representation of structures such as field fortifications and bridges, so a crew of specialized workers could complete a project by reading top, front and side views of hand drawn prints. By the late 20th century, the designer can use the power of Computer Aided Design (CAD) software to continue with the pursuit of design, by making 3D models of the creation, and outputting the necessary information for production. 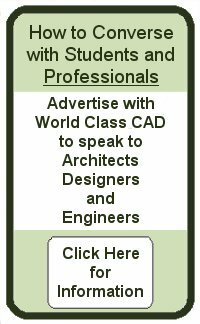 The World Class CAD - The Language of Drawing introduces the rules that we follow and the techniques used in communicating to fellow professionals and to the workers building and maintaining our designs.